We would like to make you aware that not all of our courses are certified based on § 20 (SGB V). Only courses that have been certified according to § 20 can be registered for via your health insurance. Please accept our apologies for any inconvenience. Course overview for the first half of 2019 as PDF. The new courses start in the 2nd week of January and end on 14th June. No courses will take place during school holidays and on public holidays. 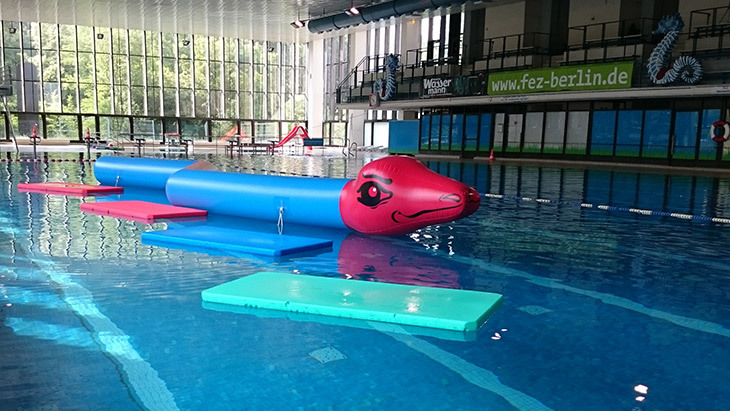 The courses offered all take place in the FEZ Berlin's swimming pool.